I had the greatest childhood growing up on our family farm. I have often told people I had a 500 acre playground and truly enjoyed farming with my dad and brother. We raised pigs and cattle as well as several crops and I also learned numerous “life skills” along the way. I still miss farming but I knew early on my calling was veterinary medicine. I volunteered at our local veterinary clinic whenever I had the opportunity and wasn’t working at home, going to school, or playing basketball and football. I attended Western Kentucky University before moving on to Auburn University College of Veterinary Medicine where I met my wife (Stacey). Upon graduation in 1996, I moved to Lancaster, bought a house, and married Stacey. We made Garrard County our home with our horses, dogs, and cats. Stacey and I both became practice owners in 1999 when she became a partner at Animal Hospital of Nicholasville and I purchased Lancaster Veterinary Hospital. A lot has changed since that time (including the expansion to our Danville location), but one thing hasn’t changed. I still love what I do—helping patients and their people and working with a great team that loves what they do. We have a great “culture” in our hospitals. I also found some other interests along the way. Specific veterinary interests include surgery, dentistry, and finding ways of providing “fear free” veterinary visits to our “extremely nervous patients” (and I am not above bribery). I am “Fear Free” Certified which means I’ve had additional training in that arena. My veterinary involvement has also expanded nationally. 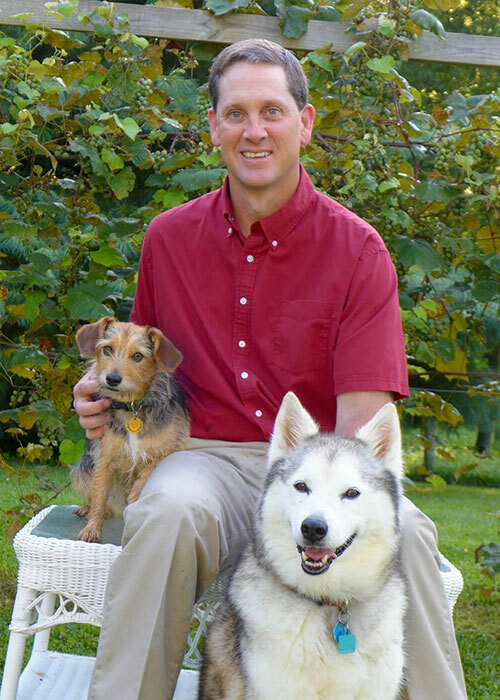 I am the President of the American Animal Hospital Association (AAHA) which spans the US and Canada. 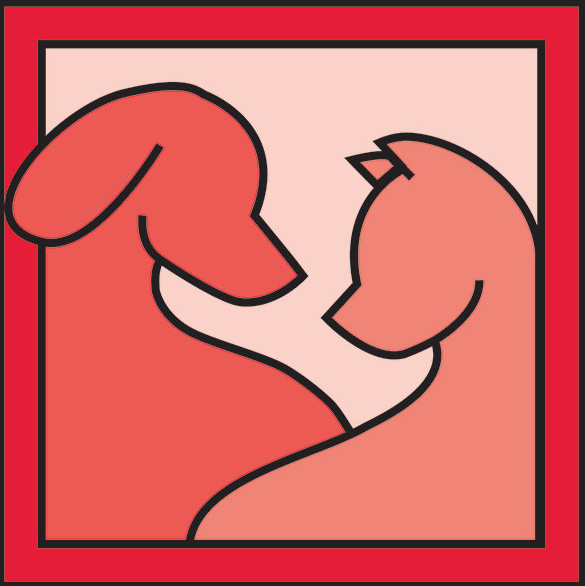 AAHA is the only veterinary organization that evaluates veterinary hospitals on over 900 standards of care—well above basic standards. I am also a veterinary practice consultant for Blue Heron Consulting and truly enjoy learning about other veterinarians, teams, and hospitals and helping to provide assistance to them on many levels. I am thankful for all of these opportunities and experiences but it does make for an entertaining travel schedule at times. I have also had the pleasure and opportunity to serve in my local community. I currently serve as chairman of the Heritage Hospice Board of Directors. I also serve KHELPS Medical Reserve Corps (as an emergency respondent) in Boyle and Garrard Counties. I’m a member of the Farmers National Bank Community Service Board and a member and past director of the Garrard County Chamber of Commerce. I am the youngest of three. I have a brother (Doug—also a veterinarian along with his wife Sherrie) and a sister (Deb—a nurse). My Dad (Ralph) still farms at 87 years of age but he says he’s “retired.” My mom passed away in 2015 of breast cancer (which contributed to my hospice involvement). I really enjoy spending time with family, golf, traveling, carpentry, horseback riding, and doing pretty much anything involving the outdoors. Veterinary medicine has always been a part of my life. My father (Bob Lynch) is a retired veterinarian and my mother (Bonnie) is a retired veterinary technician/business manager who owned their own vet clinic in Lexington (Clays Mill Vet Clinic) for 40 years. Needless to say, dinner conversation was rather grotesque and visitors often found they had lost their appetite! My parents provided an incredible example of how to operate a client and patient focused veterinary practice while striving to provide the highest quality of medicine. The practice became AAHA accredited as soon as my father was able to buy the building and expand the practice (I was in middle school at this time). AAHA has always been an integral part of my practice philosophy and I have always worked at an AAHA accredited facility. After attending Asbury College (now University), I worked as a technician at my parents’ clinic for 2 years prior to attending Mississippi State University College of Veterinary Medicine. I learned many valuable lessons as a technician including but not limited to: patient care and husbandry, technical skills, client communication, and the importance of each position within the practice (receptionists have the hardest job!) Mississippi State CVM provided a lot of hands on experience, especially in the surgical department. Where most veterinary students complete 5 or less surgeries before they graduate, I was able to complete 130 spays and neuters between two different opportunities: the spay/neuter bus at the college, and an externship in NC at a high volume, low cost spay/neuter clinic. Working in Lexington for the first several years out of vet school, I had the opportunity to become certified as both a Canine Rehabilitation Therapist and Medical Acupuncturist. Most importantly, these certifications have provided me with additional skills during physical exams. While humans can tell you what hurts and where, veterinarians rely on their hands and eyes to guide them in diagnosing where pain is located in their patients. I have a passion for anatomy and learning WHY a particular muscle/tendon/ligament may be tight or painful, and helping that tissue to heal to the best of its ability which in turn helps the patient to feel better and leaves the client satisfied that their pet has the most comfortable and active lifestyle possible. My husband, Jeremy, is an Associate Pastor at Georgetown First UMC. We have two children- Naomi (2014) and Oliver (2018). We also have several 4-legged children- 2 dogs (German Shepherd and Shepherd Mix), 2 cats and a horse (Thoroughbred). I enjoy reading fantasy fiction, hiking, horseback riding and spending time with family (as in family dinner nights EVERY week, multiple birthday parties a month and every holiday you can imagine). I enjoy thinking outside the box and welcoming new opportunities that I’ve never even considered. I’m learning to say “yes” more often than “no”! For as long as I can remember I’ve loved being around animals. When I was a little girl, one of my favorite activities was tagging along with my father, a farrier at the time, so I could be around the horses. At 16, I was introduced to the world of veterinary medicine when I brought home my first dog, a black lab puppy, and I was responsible for her veterinary care. Little did I know what I had gotten myself into! I soon realized owning a pet meant more than feeding and walking a puppy, and I was drawn to how I could improve her life through preventative health strategies, training and behavior. I grew up in Salt Lake City, Utah and decided to attend Utah State University to study Animal, Dairy and Veterinary Sciences. I wanted to determine if veterinary medicine was the right place for me. I enjoyed every aspect of my curriculum, from preg checking the Dairy herd to volunteering at the local animal shelter. I was accepted into the Washington, Idaho, Montana and Utah (WIMU) regional veterinary program. I studied at Utah State University for the first two years of veterinary school. For the second half of veterinary school, I attended Washington State University where I graduated in 2018. My husband, Stith, is a Danville native. I fell in love with this area after he brought me home for several visits. We have two dogs: a black lab mix (the very dog that introduced me to veterinary medicine), Charly, and a wild red heeler, Gunner. Additionally, we have two indoor cats and two horses. We have all loved the move to Kentucky. One of the best aspects of being a veterinarian is the opportunity to build relationships with the pet parent, as well as their pet. As owners/guardians/parents, we have the primary responsibility to advocate for our companion and ensure their needs are met. I am excited about this hospital’s emphasis on ‘fear-free’ veterinary visits. A "fear-free" approach means I get to interact with the animals I love so much while they are at ease and comfortable. This means the trip to the vet is a more pleasant experience for everyone! Lisa joined Lancaster Veterinary Hospital as Practice Manager in 2007. A native of Danville, Kentucky, Lisa graduated from Eastern Kentucky University with a Bachelor of Business Administration degree in accounting. 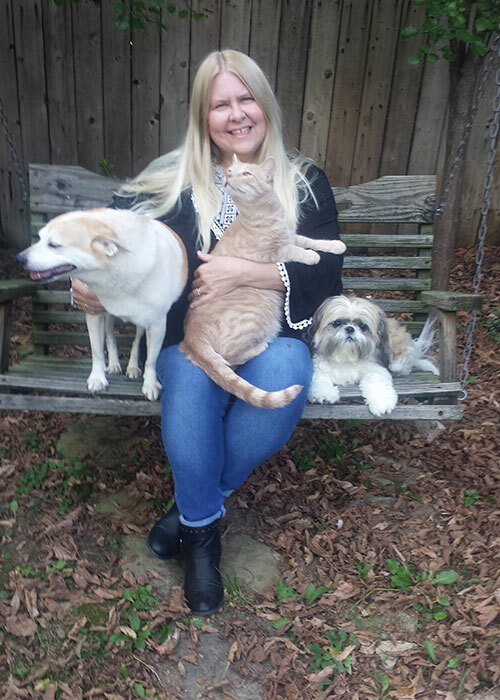 With her lifelong love of animals both great and small, she particularly enjoys being able to use her skills in business to help dogs, cats, and horses stay healthy and happy. Outside of work, Lisa enjoys reading and spending time with her husband, Danny, and her daughter, Elizabeth, as well as her dogs Maggie Mei and Sophie, and her cats Jamie, Claire, Jack, Will and Sabina. Joe grew up in Lexington, Kentucky and graduated from the University of Kentucky with a B. S. in Agriculture/Animal Sciences. He has been working with Dr. Taul since February 1997. 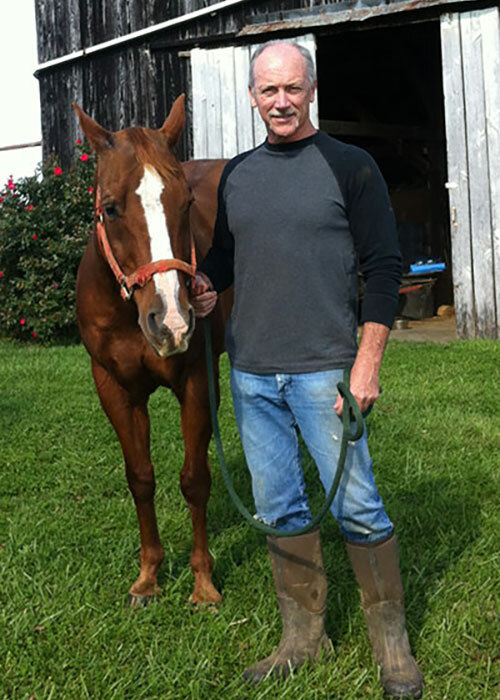 Joe lives in Garrard County on a farm where he has Quarter Horses, Paints, and Thoroughbreds. Joe's family also includes dogs, cats and a Double Yellow Head Amazon Parrot named Alvin. Joe is an avid sports fan and member of the Big Blue Nation. 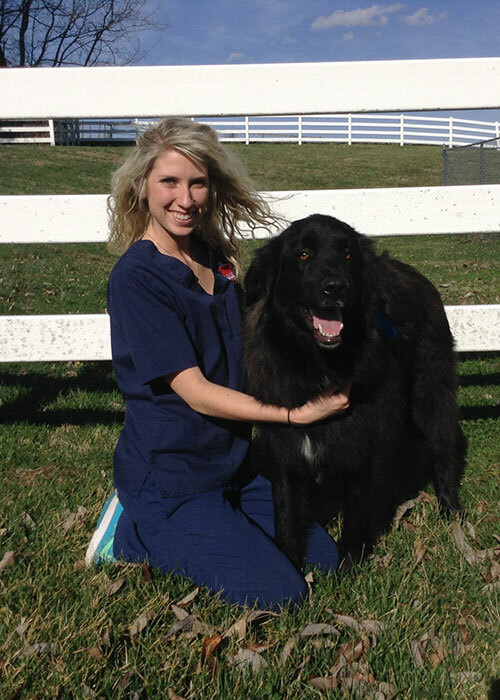 Samantha moved here from Florida in 2009, and has been a Veterinary Technician for over 10 years. She is married with two dogs, Angel and Bailey. She also trains and rides horses in her spare time. Hanna grew up in Atlanta Georgia and has a lifelong passion for helping keep animals happy and healthy. She graduated from Sprayberry High School where she was awarded for her many hours of volunteer work in a veterinary hospital. She has worked at animal hospitals for 6 years. In her free time, Hanna enjoys drawing, painting and playing with her 2 cats - Alby and Indie. She is pictured with her "fur brother" Sprout, who is a Chihuahua mix. Vanessa grew up in Liberty, Kentucky. She attended Western Kentucky University and obtained a degree in Animal Science with a minor in Biology. She has loved animals ever since she was a small child and has worked within the animal field since high school. After graduating from college she moved to Lancaster with her husband. They have a little boy, two dogs, three cats, chickens, and fish. Vanessa’s hobbies include fishing, hunting, riding ATVs, gardening, scrapbooking, sewing and reading. Chrisanna was born and raised in Atlanta Georgia and moved to Kentucky in 2014. Her passion for animal health began at young age after job shadowing her grandmother who retired as a veterinary surgical technician. She has 3 years of Animal Hospital experience and she is currently finishing her Veterinary Technology education. Heather grew up in Kings Mountain, Kentucky. 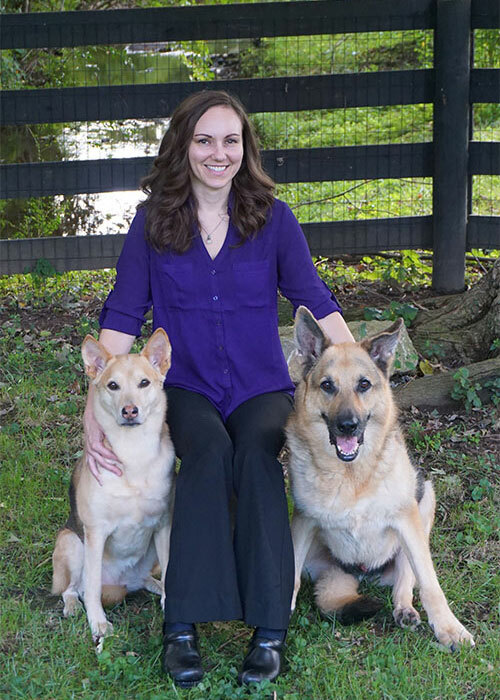 She attended Eastern Kentucky University in order to pursue her dream of working with animals. After volunteering as a veterinary assistant, Heather joined the Animal Hospital team as a Client Service Representative and has now been promoted to Office Manager. Heather is a "fur mom" to Bear (pictured) and his sister Stella, as well as her loving cat Abraham. Kathey lives in Lancaster, Kentucky with her family. 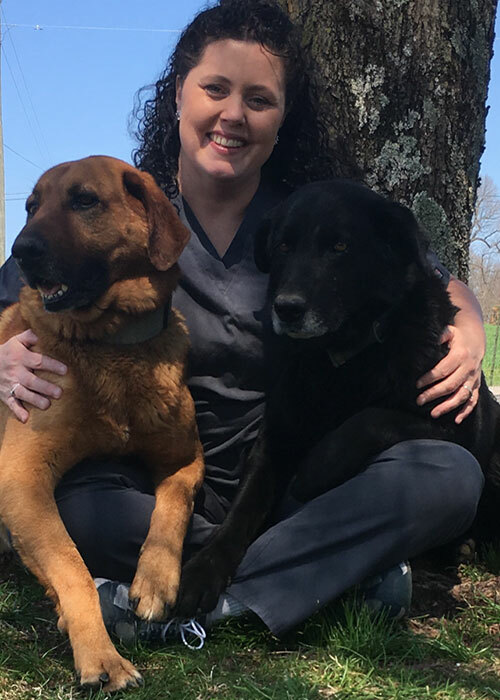 She came to Animal Hospital of Lancaster and Danville in 2019 with over 20 years experience in customer service. She enjoys getting to know our clients and their lovable pets. In her free time she enjoys crafting, spending time with her family and grandkids. Her pet family includes two dogs-Jack and Joe (pictured)and a sweet lovable cat named Fluffy.